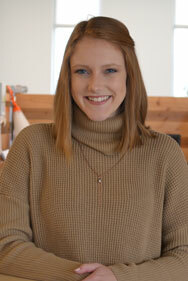 Filament announces the hiring of Allie Breunig as a marketing communications school-year intern. Breunig will assist the Filament team on communications projects spanning advertising and social media to media relations and writing. Breunig is a junior at the University of Wisconsin-Madison studying life sciences communication with certificates in digital studies, entrepreneurship, and agricultural business management. Active on campus with the Association of Women in Agriculture, Badger Dairy Club and National Agri-Marketing Association (NAMA), Breunig is also a College of Agriculture and Life Sciences Ambassador. “We are looking forward to having Allie on board and are excited to have such a high-quality individual in our school-year internship program. Allie’s passion for agriculture will help serve our clients,” says Megan Hayes, vice president, Filament. Breunig grew up on her family’s 450-cow dairy farm in Sauk City, Wis. She found her passion for agriculture by showing dairy and swine through 4-H and is currently serving as the Wisconsin Holstein Association Princess. Prior to joining the Filament team, Breunig was a member of the National Champion marketing team at the 2018 NAMA conference in Kansas City, Mo. Filament is the only marketing agency focused solely on animal agriculture. This Madison, Wisconsin-based team combines their passion for agriculture with savvy marketing expertise to deliver unmatched results to their clients. Hands-on experience milking cows, hatching chicks, breeding pigs and pitching stalls, fuels Filament’s marketing insights. Get to know Filament at filamentag.com.